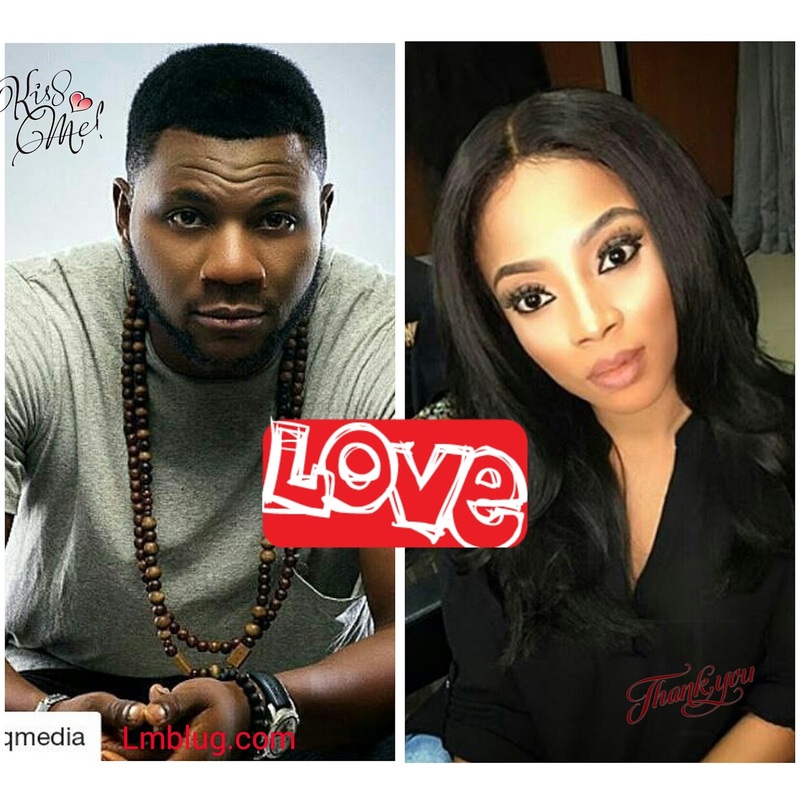 Toke Makinwa Finally Accepts OAP Uche's Marriage Proposal. 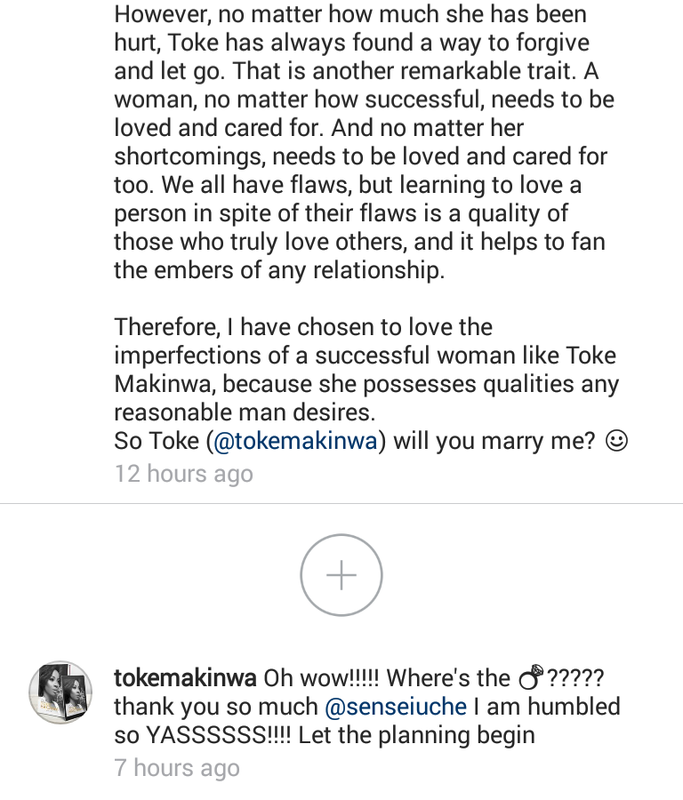 After much pressures, Toke Makinwa finally accepts OAP Uche's shocking marriage proposal... some call it a end of the year joke. Wow, interesting... 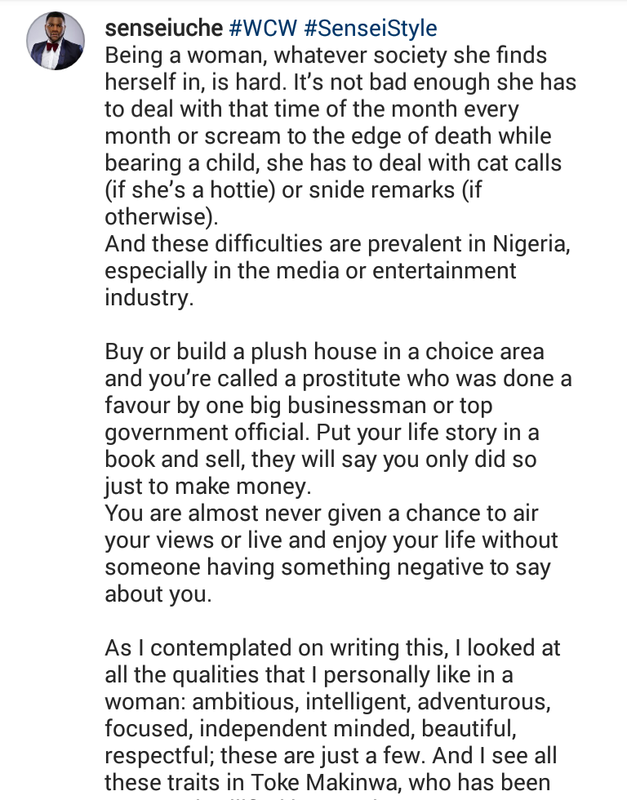 I just pray it's not a joke, so I can finally eat wedding jollof, lolz. Or what do you guys think? ?